The freezer has ice cream and frozen pizzas, but it’s the pantry that harbors the usual carb suspects – chips, cookies, crackers, pasta, cereal and bread galore. If you’re not careful this cool and dark space could derail your best efforts to eat Primally. So follow these 10 easy steps and you’ll be well on your way to having a truly Primal pantry. And be sure to share what’s in your pantry in the comment boards! Are we missing any major Primal staples? The first step toward Primalizing your pantry is purging it of the wrong foods. You need to approach the contents of your pantry as if you’re a medieval cleric purging the church of heathens. Think dogmatic. Think Spanish Inquisition. As Primal Blueprinters we pride ourselves on being flexible. After all, we got into this lifestyle because we were willing to buck conventional wisdom and consider a vastly different viewpoint to nutrition. Forget all that. Today, if you truly want to Primalize your pantry, you need to toss out every thing that might tempt you to stray from the pure and noble path as ordained by evolution itself. Okay – lofty language aside, going purely Primal means completely avoiding the foods that mar that purity. Toss your processed foods and prepackaged meals. No more baked beans, bland soups, or loaves of bread collecting mold alongside dry pastas. Get rid of the cookies, crackers, and chips standing in your way. No holds barred, people. When I say toss out, I mean “toss out of the pantry and in the general direction of a plastic bin or paper bag perfect for delivering to a food bank.” You may be going purely Primal, but tons of needy people don’t have that luxury. You’re worrying about insulin spikes and tallying glycemic indexes while scores of others are worrying about more important things… like hunger. Take a big box, fill it up, and donate it. Try Feeding America to find a local food bank. Pantries are the perfect spots for instant snacks. It’s just that most snacks aren’t all that Primal – except for nuts and seeds. Raw almonds, walnuts, macadamias are some fantastic options that will stay fresh for at least a couple months, but they probably won’t last that long. Sunflower and pumpkin seeds are some other great options. As with anything, just be sure to watch the flavored varieties. If you’re eating toffee-encrusted chocolate-covered macadamia nuts, you’re not really going Primal. Nut butter and flours are good to have on hand, too. Almond butter makes a great alternative to peanut butter, and both butters and flours are great Primal sauce thickeners. Nut flour also introduces the possibility of Primal baking – it’s not a perfect replacement for traditional baked goods, but there are unique benefits to cooking with nut flours, like increased heartiness and a different flavor profile. Keep your pantry well-stocked with olive oil, palm oil, coconut oil, and various nut oils – all healthy, Primal fats that you’ll be using on a daily basis (assuming you’re cooking every day). 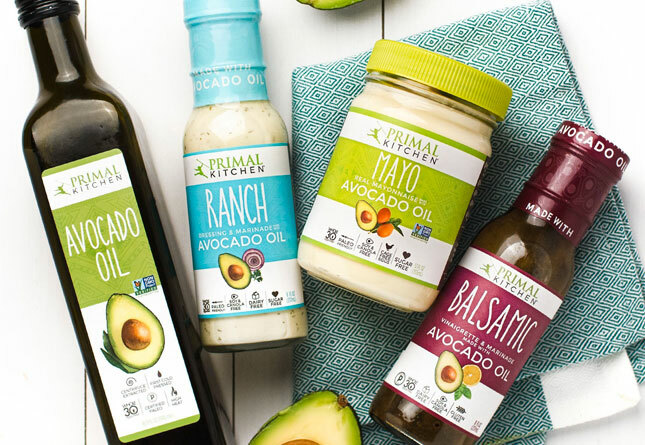 Sauteeing meat, frying eggs, making salad dressing mean good, healthy fats are absolutely integral in the Primal Blueprint, and the pantry is the best place to store them. 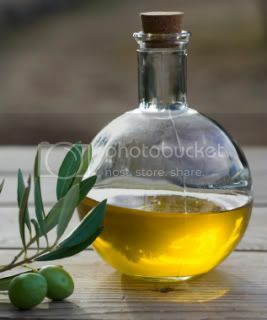 Fat does go rancid, though, so be sure to buy only as much oil as you’ll finish in a month. We all have a sweet tooth. Sweet stuff tastes good to us because it gets us eating fruit, which in turn spreads the seeds around and profligates the fruits’ reproduction. 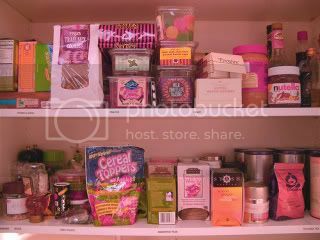 So it’s normal for us to keep some sweets in the pantry – just don’t go crazy with it and stick to acceptable sources. 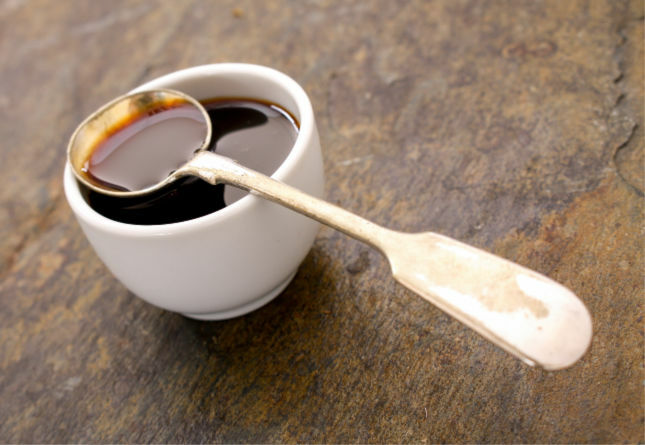 Honey is good to have on hand, as is semi-sweet dark chocolate (go for a good quality, mostly-cacao chocolate bar, which isn’t all that high in sugar and is decidedly more Primal than, say, a Hershey’s bar). Is All Chocolate Created Equal? We should limit our caffeine intake, but teas are excellent members of any healthy Primal pantry. 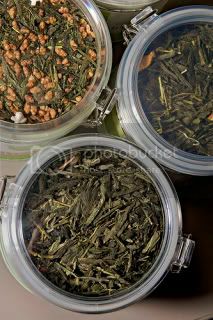 Try to stick to the “true” teas: white (best), green (good), oolong (still good), or black (good, but not great). All come from the same plant, but the white and green teas are simply less processed. You know how we feel about over-processing, and the less a tea is processed, the more antioxidant properties are retained. Enjoy tea time, but avoid the cakes and scones you might have enjoyed on your last trip to England. Dear Mark: To Tea or Not to Tea? Primal eating often gets the bad rap of being bland and tasteless. 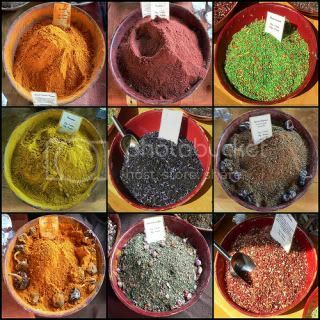 While Grok may not have had cumin, coriander, cinnamon, or curry at his disposal, spices are still Primal friendly (and, I would argue, absolutely essential to enjoying life – Primal or otherwise). If you can spare it, devote a shelf in your pantry to your spice collection. It’ll be an expensive initial purchase, but once you’ve gathered a nice arsenal of spices you’ll be set for a long time. There’s nothing worse than getting the urge to make some complex dish and having to run out to the grocery store each time for ingredients. Again, the key to avoiding temptation is stocking your pantry with instant Primal foods. Keep some jerky on hand – beef, buffalo, salmon, turkey, deer, moose. Even better, make your own jerky so that you get to choose what goes into your body. 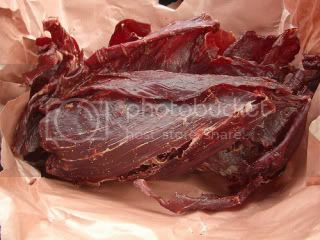 Keep in mind that most homemade jerky (or quality jerky purchased in a store) is less processed and will therefore go rancid much faster than the stuff you get at the truck stop. I somehow doubt, however, that eating your jerky on time will be a problem. We’ve told you to take caution when eating dried fruits before (on account of the high sugar content), but they can’t be ignored when stocking your pantry. Instead of wolfing down an entire bag of dried apricots, though, try making your own trail mix. You’ve got nuts, semi-sweet dark chocolate, and dried fruits all in the same place – mix it all together! That way, you won’t just be eating dried fruit, which is delicious and healthy, but never really fills you up (meaning you’ll just keep eating and eating). You’ve ditched the canned beans and cherry pie filling, but don’t eschew the can altogether. It’s a good format for vegetables, and its convenience simply cannot be ignored. Canned tomatoes are just as good as most fresh tomatoes (sadly, it’s tough to find a good tomato nowadays), and even better for making sauces (don’t forget to keep some tomato paste on hand, too). Canned artichoke hearts, canned pumpkin (not pumpkin pie mix) and canned coconut milk are also staples to have on hand. We can’t expect to always have the time or inclination to go stock up on fresh produce, and canned vegetables give us the opportunity to enjoy the benefits of vegetables while saving time and money (canned is always cheaper). What about you, readers? What do you keep in your pantries? I really need to go food shopping and you just made it so much easier to create my grocery list! As always, good timing and thanks Mark. 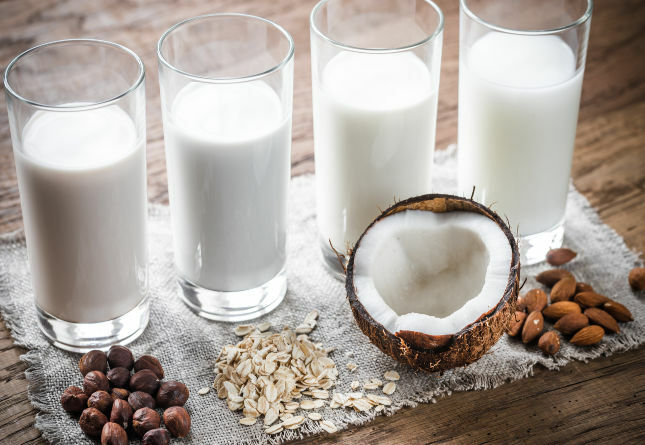 and Dr. Mercola: top 9 foods you should never eat! Canned tomatoes #1! Wow… this sounds scarily like our pantry. We went through and donated all of our “bad” pantry items like pastas and rice to our less fortunate, less dicerning and more hungry extended family members. I can’t help but feel like I am forgetting something but I think that is mostly it. That sounds like our pantry too, but a word of caution of the “bulk powdered egg whites”. Please be aware that dried/powdered eggs (and powdered milk) are very processed foods that have been treated under very high heat which oxidizes the cholesterol. Oxidized cholesterol is extremely damaging to the arteries and organs (unlike healthy cholesterol). This is why, among other reasons, skim milk is such a problem- dried milk powder is added in to bulk it up. Liquid eggs are the same. Processed food contains a lot of these dried food ingredients and thus oxidized cholesterol. Homeade Sweet Potato Chips (baked. My wife does this wonderfullly!) This sounds great. Can you share the recipe? Thanks. How do you feel about Yerba Mate tea? Where does it stand in relation to white, green, and black in your opinion? Emily, I’m a big fan of yerba mate. I had a cup of it this morning, in fact. I drink it unsweetened, or amargo, as our friends down south would say. 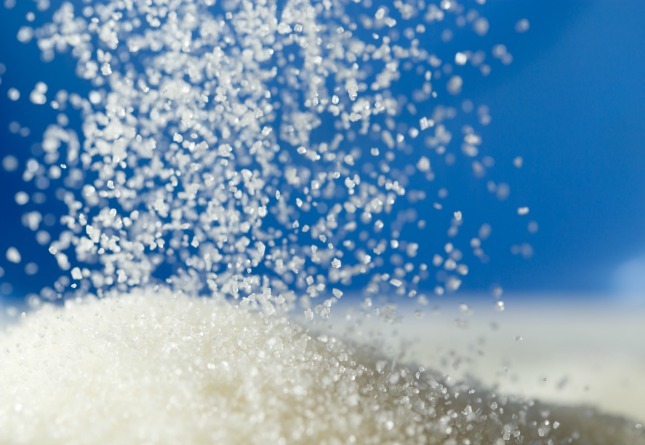 Adding a bunch of sugar to it defeats the purpose of drinking it in the first place. It’ll be interesting what Mark can dig up on it. So I’m wondering when you are going to get going on that primal cook book. Please tell me there is one in the works. What a helpful post! Thanks for the practical tips! I’ve been meaning to “take it to the next step,” so to speak. This is great motivation. How about condiments? My cabinet includes steak rubs, steak sauces, horseradish, some more steak sauce, and old bay. Which I put on my steak. The Primal Cookbook is in the works, but it is taking a back seat at the moment to The Primal Blueprint. I hope to have both out soon! Amen to the beef jerky and dried fruit!! I’m a big on these two as they are portable, they don’t need to be refrigerated and, well, they’re just awesome! OMG I just bought the best dried organic, totally unsweetened, pineapple today!! Sarena, I totally dig dried pineapple…but be careful because 3 1/2 ounces (which is easy to eat in a short time) has about 65 grams of carbs, mostly as fruit sugar. That’s why we like mixing dried fruit up with nuts etc. Mark, thank you so much for this ten-step program. 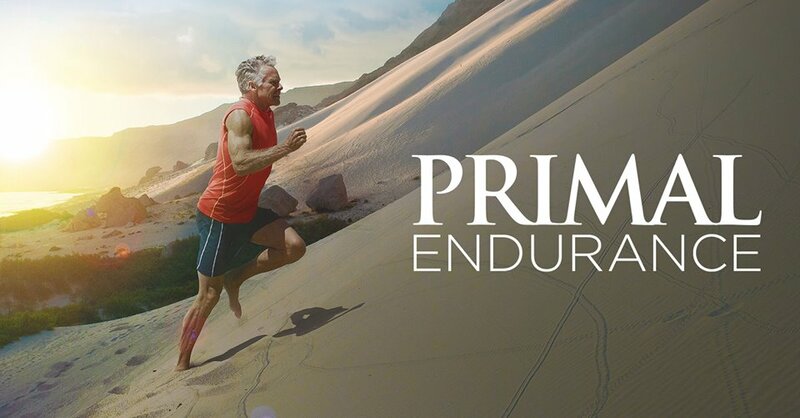 I’ve been half-heartedly moving towards Primal living for a few months, now (actually prior to discovering your blog, after reading _Ishmael_), but I’ve been unwilling to commit to it completely (and I admit it’s at least partly because I’m an endurance sports blogger, and I don’t plan to give that up). But this list makes it seem practical, achievable, and tasty. Great post. My pantry here @ home goes like this: almond oil, red pepper, sea salt, mustard, pure ground cinnamon, green tea, almonds, pecans, cashews, cashew butter, almond butter, raisins, plain oatmeal, honey, V-8, i love dark chocolate, but don’t keep it on hand, i just eat it once in a while. 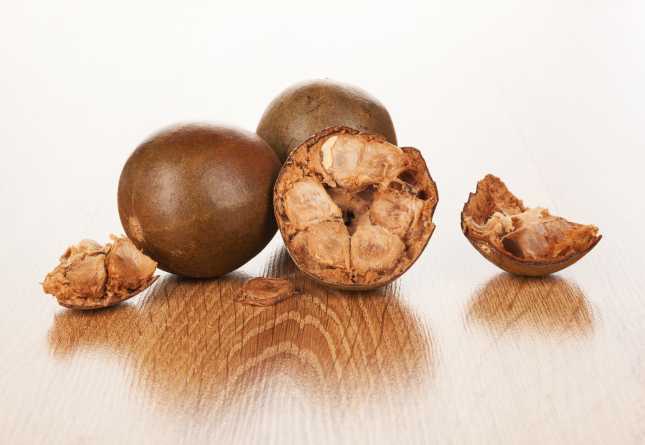 I love macadamia nuts but that’s toxic to dogs, and i don’t want to chance my ShihTzu getting into it so i choose not to buy that. And last but not least (always save the best for last ya know) Damage Control Master Formula!!! I love the idea of improving my spice collection. Due to the expense, I am wondering if there are certain spices, brands, methods of storage etc. that will help me maximize the benefits? I suspect many spices lose their flavor intensity over time. A local small grocer stocks many spices already ground, in small containers, MUCH cheaper than the traditional brands in other stores. Is there a catch? Quality or otherwise??? If I get this down, THEN I can worry about learning to actually use the spices effectively. Thanks for a great post! I think a lot of people would be much better off if they cleaned out their pantry and went to a more primal form of eating. Thanks for the list Mark. 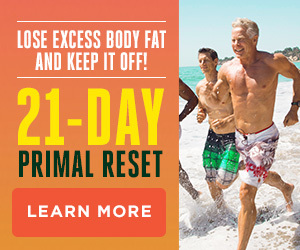 I’m still quite a way off a full on primal pantry but I am doing a few of the things on your list. SO INTERESTING TO ME as I often think ‘Im not really primal’ but in reading this I am. farfar more than Id thought. Mark, boy do I know that about the pineapple and sugar. Thats why I ate it with almonds. And I far overdid it too!! I can’t eat dried pineapple. It is TOO sweet for me. I absolutely love pineapple, fresh and dried. Mixing it up with other stuff i won’t eat as much. Fresh-i like it w/a little non-sweet coconut and 1/2 small banana. 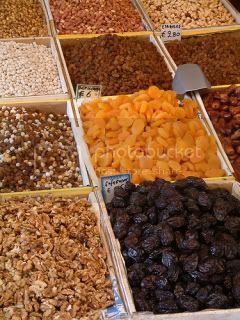 Dried-I mix it with a little raisins and nuts. I also like dried apricots, but i eat “very little” of that-gotta watch it. 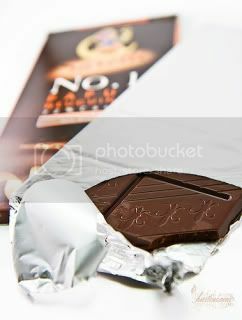 Oh yes, 70% dark chocolate is O.K. to have, so little sugar, try some! For spices hit your local farmers market. You’ll find great deals and great selection. Emily – Great question about Yerba Mate. I’ll see if we can devote a post to it in the near future. Thanks for reading! Son of Grok: if you could post the recipe for the sweet potato chips your wife makes, I’d be eternally grateful! Son of Grok… you need to just start your own blog bro! The people have spoken, they want your recipes!! And I for one would definitely tune in daily to read it. Nice article Mark. A couple years back (after having already been a Personal Trainer/Health Coach for many years at the time) I realised that I was not leading a very good example. While I ate well for my ‘main’ meals, my pantry was just about junk-filled enough for me to open some kind of chocolate store out of it. If any of my clients had have seen it they would have been horrified! These days one of my rules (for clients as well as self!) is to pretty much avoid supermarket shopping, but if you’re in a really hurry and can’t get to a farmers market, then at least avoid the inside aisles of the supermarket … there lies temptation! * Love the recipe for making your own jerky, have not seen that before. Thank-you! I know.. I have been putting it off for too long. Fulltime professional career, full time student and building another business from the ground up. All while staying on top of my health and fitness and still entertaining my family. I am just so busy. But I will hunker down and try to get started on a personal blog this week for recipes and what have you. I will make the sweet potato chips one of my first recipes once the blog is up! This is fantastic! I already do almost everything you have listed. Amazing. I always felt pretty good about the way I treat my body, but this confirms it. Are you concerned about the bisphenol-a in canned tomatoes (more likely with acidic foods) or are you buying glass or is your consumption so low (x cans/month) that you’re not worried? There is no bisphenol in the brand Eden. They are great! I posted the sweet potato chip recipe on my site! Check it out if you get the chance. I hate to say it but I have to argue with you about the food pantry. Please *don’t. * They already get overloaded with carby food. My diabetic mother gets carby food from a food pantry. It doesn’t do any good to assuage hunger if you’re eating something that will destroy your eyes, kidneys, and legs. You might as well starve, it’s easier on your body. And your blood sugar will even out towards the end. When I was pregnant with my younger child I was on the outs with her dad. His entire household (he had lots of roommates) decided to do South Beach. Guess who got the carbs they threw out. By the time I got through all that crap my ankles looked like inner tubes. I was severely protein-deprived (WIC does not cover this–WIC, in fact, should be thrown into a trash can, doused in gasoline, and set on fire) and had already had to have repeat GTTs because my first one had indicated borderline diabetes. It wasn’t until I got my hands on some meat and started taking B vitamins that my ankles got better. I shudder to think I might have wound up with toxemia. Malnutrition exacerbates some of the conditions leading to or sustaining poverty. If you’re going to donate to a food pantry then donate things like canned meats and canned veggies and coconut oil. Please. This isn’t about luxury versus necessity. If y’all didn’t think paleo eating was a necessity, you presumably wouldn’t be doing it. I might have saved my daughter her early kidney and urinary problems had I been able to eat right all through my pregnancy. Studies have shown that violent behavior typical of the so-called “underclasses” is often caused by various B vitamin deficiencies. People who are depressed are often also deficient in something. Without help from the private sector, poor people are at the mercy of a government which is still preaching low-fat/low-cal/high-grain. Our social ills will not improve as long as this continues. Thank you, Dana, for your remarks. My family would qualify for “assistance” from local food banks/pantries, and food stamps, but most of their food is, as you said, high carb junk, and food stamps cannot be used any place where you could find healthy food. So we don’t even try to get them. What can the poverty-stricken do to eat better when much of it is so cost-prohibitive. We try to get by on what we CAN afford. It is difficult to carry the knowledge that coconut oil would help me with my diabetes and hypothyroidism but we don’t have the means to get it. After almost three years off my insulin/meds trying unsuccessfully to control things with my diet, I’ve finally just gone back to a clinic and started back on my meds. It’s free! And it’s bringing my blood sugar back to normal, hopefully not too late, because I’m now about to be blind from such high blood sugar for so long. I know, I don’t expect coconut oil, etc. to be free, but it sounds a little snobbish to me to say things like “let the hungry have the carby stuff, they’ll appreciate it”. Sorry, I know this isn’t the place to spout off, but that comment just got me started. Time was, when only the wealthy could afford “Junk food”, the poor ate the wholesome stuff. How times have changed! Naomi…. what??? I know people who use food stamps and you can buy any food item in almost any grocery store. You’re local store may not carry grass fed beef…but they sure as heck carry other good cuts of meat. My local store carries coconut oil,walnut oil, etc… and what about all the vegetables and fruits you could be buying?? Since you wouldn’t be wasting your money on chips, soda, and junk, you would have plenty of money to buy some decent food. Heck,our local butcher accepts food stamps, and his chicken is, although not technically organic, free-range. You could also buy omega 3 enhanced eggs, not to mention basic items liked canned tomatoes,frozen vegetables, and lots of raw nuts. I’ve been eating organic peanut butter with my bananas and apples, should I swicth to almond butter? trying to eat right, have been primalfor almost two weeks and loving it! Do NOT eat peanut butter!! Full of mycotoxins! Almond butter is great! 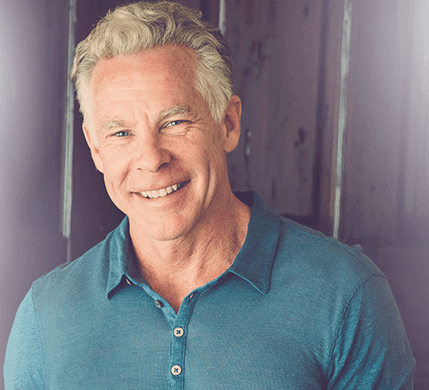 Check out the Phase Eating Plans on Knowthecause.com Mark Sisson has been on here numerous times!!!! Canned may be cheaper than fresh but it’s not at all sustainable. If you live in an area where you can get fresh over canned, I would suggest doing so. Good article Mark. One thing you seemed to leave is organic butter and cheese. I know for me when I need a quick snack a lump of raw cheese and some raw onion are great. Be lost without it. Plenty of healthy saturated fat which is vital for cellular strength. Fantastic energy food also. So what are the feelings on home canned items? If its is canned it definitely NOT FRESh..dont have a good feeling about it..it must have some artificial substance to keep it “canned”..so not like cave man ate, right? Or, it’s in a sealed environment with bacteria removed so it doesn’t spoil. You know. Pasteurization? Not all canned food is created equal though. Tomatoes are helped along by the heating process, as are others high in lycopene. But many nutrients are destroyed by high heat. I love these suggestions and for the past 8-9 years have eaten this way. One question though, what is wrong with dried beans? I see at the top of this page to raid the pantry and throw many things out. 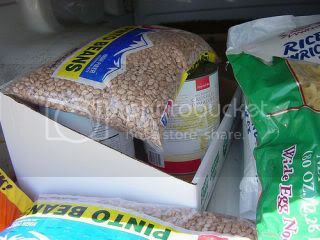 Then there is a picture of items being thrown out which includes a couple bags of dried beans. What would be the issue with these? I am 8 months in and I still have not completely cleaned out my pantry. I just ignore most of the stocked items in there. I did however figure out that I could get rid of my freezer. I emptied it of all the giant Costco quick ready meals, and other various frozen foods. It’s basically empty except for ice and a couple of things for the clones (aka children). I shop every 3-4 days and make completely fresh meals. Except for some canned tomatoes and gluten free meat stocks, I am not sure the last time I used anything else from my pantry. Spice cabinet, yes, oils and fats and vinegars, yes, but those are all kept separate from the pantry itself. I think I have a project on my hands this weekend. 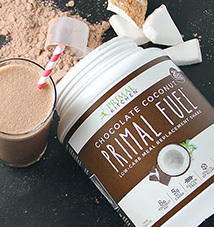 Thought going primal would take a lot more out of my foodie enjoyment. Quite the contrary, as I sit enjoying a few figs, almonds and unsweetened banana chips for lunch. I do miss my bread from time to time but have begun experimenting with Primal Baking. Thanks for the list — really helps focus the shopping. Great article. It is unfortunate that over the last decade, the travel industry has had to tackle terrorism, SARS, tsunamis, flu virus, swine flu, and the first ever real global economic collapse. Through everthing the industry has really proven to be solid, resilient along with dynamic, obtaining new strategies to deal with trouble. There are constantly fresh difficulties and opportunities to which the market must yet again adapt and behave. OK, that does it! 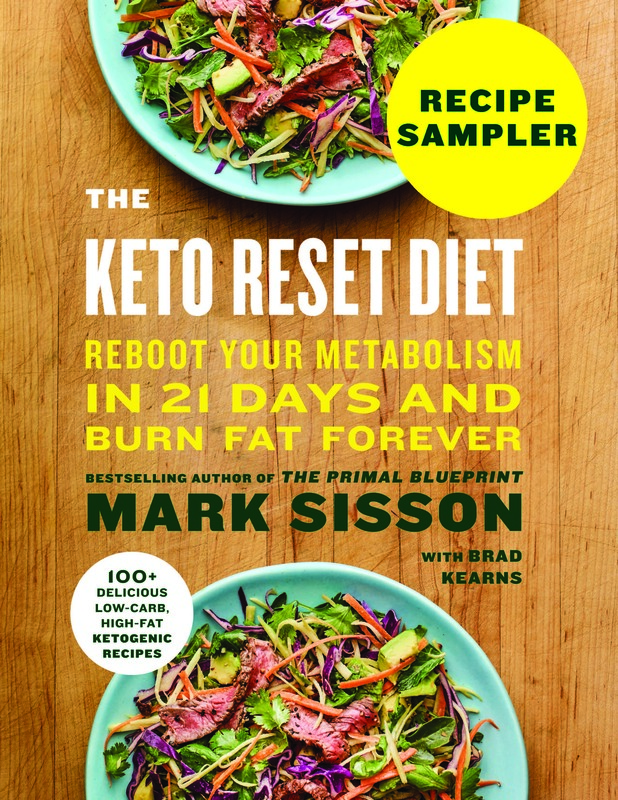 Thanks to Mark’s observations on the Primal Diet, it now appears that I’m going to have to go back and rewrite the chapter on meat consumption in my just-released book (Amazon) “An Operations Manual For Humankind.” Problem is, dang it anyhow, Mark makes sense! I, myself, only rarely eat ‘cow meat’ and only then if it is both grass fed and grass finished. It’s hard to find THAT in your local supermarket butchery dept. 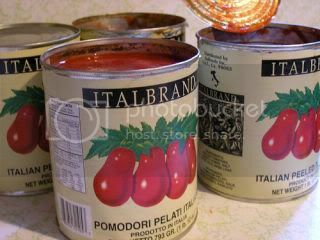 Not to be a downer, but I’d like to point out that canned tomatoes have BPA in the cans. (You can buy almost anything else in BPA-free cans if you look hard, but not tomatoes.) However, Romi tomatoes in the aseptic packaging does not contain BPA (from what I have read). If you eat them only occasionally, not a big deal, but if you eat them frequently or eat a lot of canned goods, you should seek out BPA-free items. I don’t remember who had the question about storing spices; but if you buy spices in their whole, unground form, they keep and maintain their flavor for years! They taste so much better, and retain more antioxidants and such. A coffee grinder makes a great spice grinder, and you can grind small amounts and store them in an air-tight container for up to a month without any flavor loss. Canned tomatoes (and any other canned acidic fruits/veg) have really high rates of BPA in them. We’ve stopped using canned tomatoes where possible because of the BPA. We have a male toddler, and one of the problems with BPA is hormonal/endocrine disrupter. We try to use tomotoes in the “tetrapaks” instead – like Pomi brand. I have just started all this and am excited to think of all the space I will have in my pantry when I can get the rest of my crew on board. I was trying to figure out what to do with all the grains in there. We have very little processed foods, but we have every grain imaginable. Thanks for the tips. metals cans are lined with BPA. buy your own or grow your own vegies and can them in jars. the lids have BPA on them as well, but lids without bpa can be purchased from the same as the BPA lids. do not forget that receipts from stores also have BPA on them. favorite snack organic raw nuts, dark chocolate nibs self-dried organic fruits melted together and cooled. only once a week or eaten not with other things because of the phytic acid. very tasty!!!!!!!!!!!!!! you stated… “You may be going purely Primal, but tons of needy people don’t have that luxury.” Isn’t it a shame that “going primal” is considered a luxury? Were not our primal ancestors “needy”? You are always on point. To ease my wife into this, I suggested that we not completely purge the pantry but slowly draw it down–got rid of the flour and sugars, but some other stuff, well–it took us 60 years to get here, and a few more weeks won’t hurt, but will be easier on the wallet. I am the owner of the photo you have pirated for your site called nuts. You are in violation of copyright laws. This photo is clearly marked as copyrighted material and is protected by the law. Please contact me for information on how to license my photo. If you persist in violating my rights I will pursue legal means to rectify this situation.